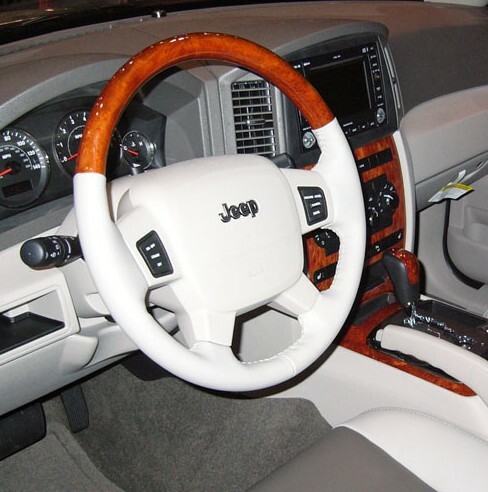 OEM Woodgrain and Leather steering wheel for the 2007 WK Grand Cherokee, same as Overland edition. Will fit all 05-07 WK Grand Cherokee models except the SRT8. It will bring a freshness back. With some of the proper leather protector, it should last much longer than originally.